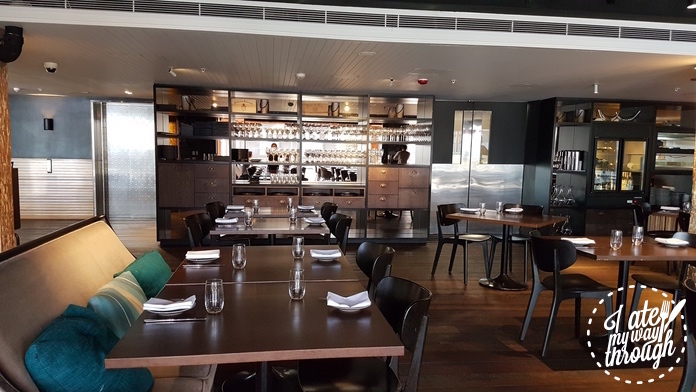 From the moment you step into Pier One Sydney Harbour’s newly chef-hatted restaurant The Gantry, you can feel the trials of the everyday grind float away as you anticipate a fine dining experience completed with breathtaking water views. 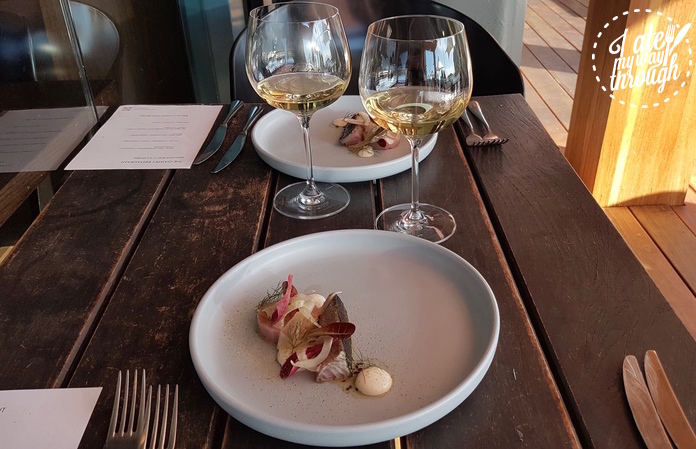 Whether it is to catch up with friends over a long boozy lunch or celebrate a special occasion, The Gantry delivers tranquil harbour surroundings, professional service, a hand-selected wine collection, and world-class culinary craftsmanship. 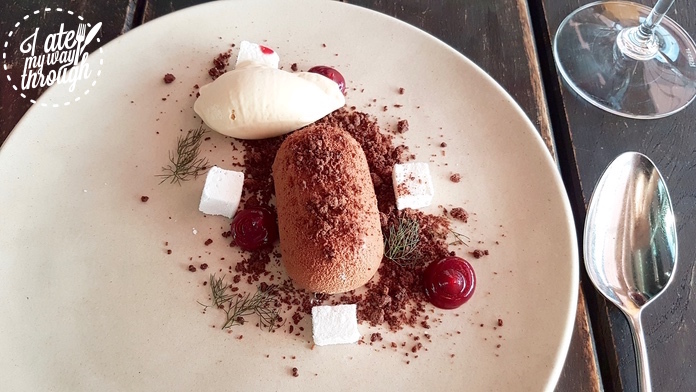 The view and the exquisite menu make it a must-visit Sydney dining destination. 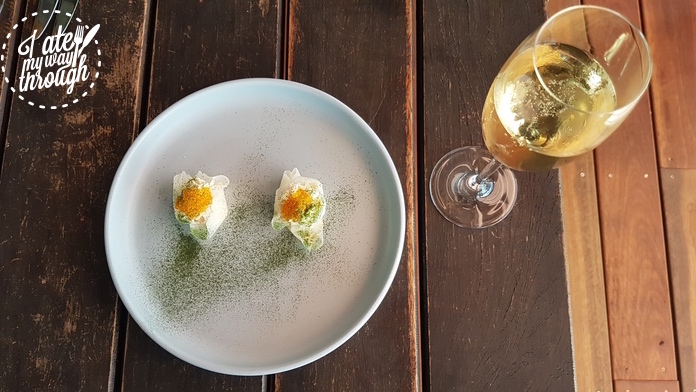 To fully appreciate the Asian-influenced modern Australian cuisine the 5-course ($90 per person) or 7-course ($110 per person) degustation menus highlights the best the restaurant offers. But before we even got down to business, the wow effect from the amuse-bouche increased our anticipation. A thinly shaved and pickled daikon forms a nest for creamy seafood inside topped with trout roe and kale dust. No cutlery required as the best way to enjoy it is to have all ingredients in one mouthful. 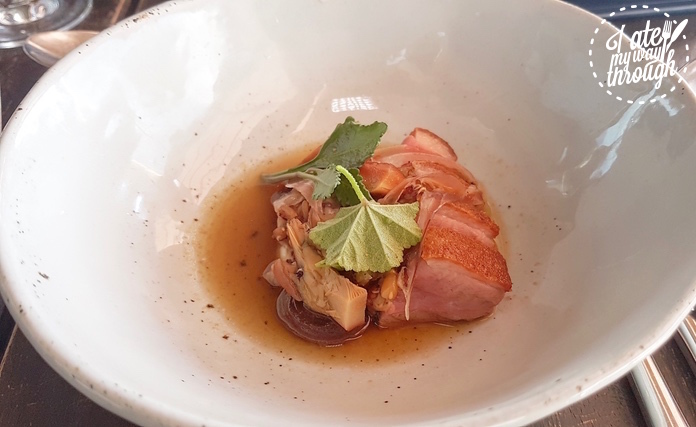 Duck breast cooked to light pink is laid at bottom of a ceramic bowl surrounded by a mushroom broth. But only by digging deeper is the slow cooked quinoa and smoked prune revealed. The sweet and sour citrus with a hint of smokiness bring depth to the succulent meat. Comte is a type of cheese made from unpasteurised cow milk produced mainly in eastern France. Aged between 8 and 12 months Comte is considered amongst the finest cheeses with its silky texture. 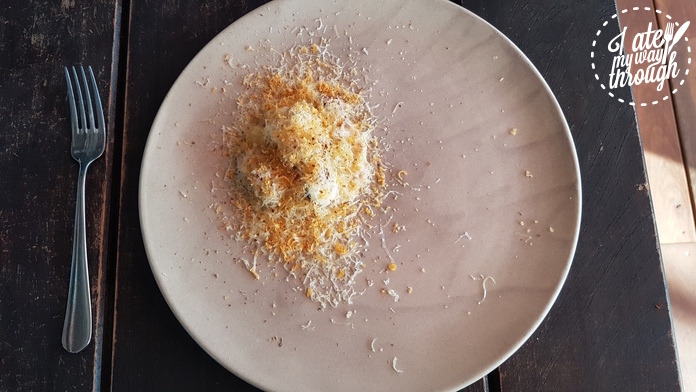 At The Gantry the comte is grated and mixed with Chinese ingredients such as salted egg, which is similarly grated to contrast with the pale yellow colour of the dairy. 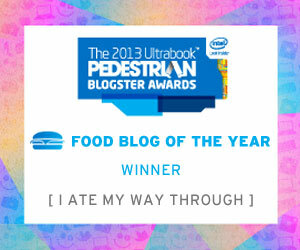 Underneath is creamy porridge, pickled and chargrilled onion and pan-fried cauliflower florets. The crunchy vegetables blend in beautifully with the cheese and porridge, finished by nuttiness and earthiness from the egg flakes. 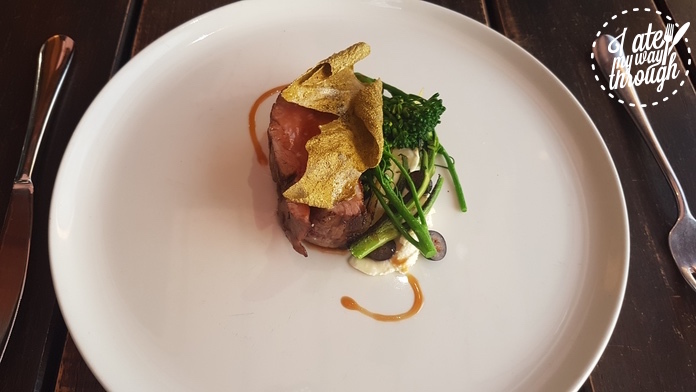 The creativity, presentation and balance of this dish demonstrate both the chef’s experience and his willingness to take inspiration from different cuisines. Unlike salmon or tuna, mackerel can be somewhat pungent if not prepared properly and can overpower a dish. No danger of this at The Gantry where the fish is seared lightly and served with shaved fennel, a good combination whereby the aroma of aniseed takes the edge off the fish. Together with purple yam and baby cos lettuce, the fish loses its strong smell but retains a soft and flaky texture. Taking a break between courses to soak up our surroundings, we gazed around the dining room which creates a seafaring mood with exposed pipes and low ceilings throughout. 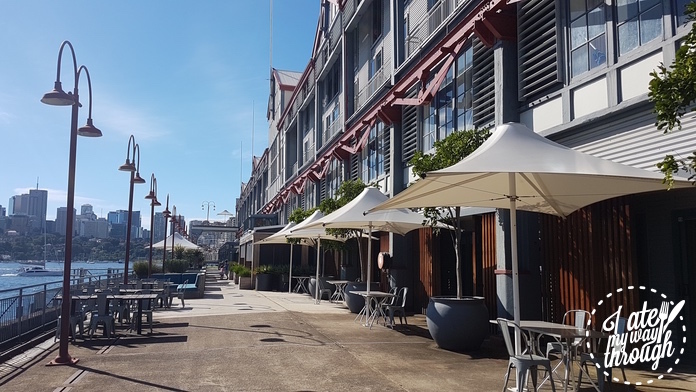 This is an example of how the venue pays homage to the area’s rich maritime history: The hotel’s name comes from the 1912 shipping wharf Pier One Sydney Harbour and the restaurant is named for a structure on the pier used for loading and unloading cargo and passengers. A maritime-themed restaurant will obviously feature a strong seafood element on its menu. 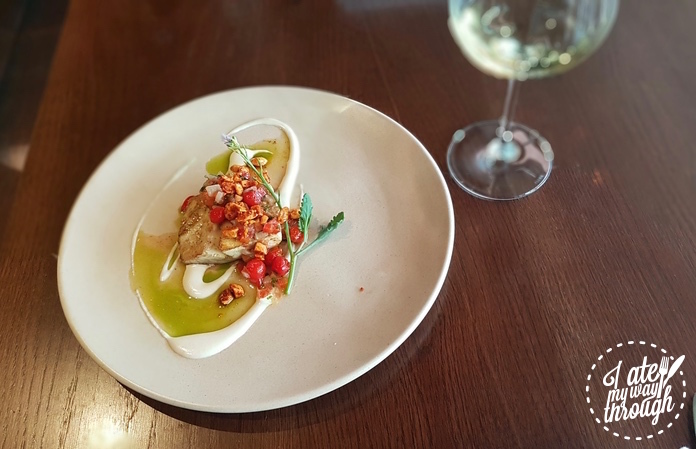 As such, pan-fried John Dory is decorated with vibrant colours from chives and sour peppers and served with a garlic olive and aioli dressing. Sour pepper is a small, sharp-tasting bright red vegetable about the size of a fingernail. Toasted almonds bring a crunchy texture and ensure the dish is a perfect balance of colour, texture and flavour. For the carnivorous, dry aged lamb is cooked medium rare and topped with sheep cheese, parsley root and, most interestingly, caper chips. Bearing no resemblance to the buds typically used in Mediterranean cooking, the caper in this dish is manipulated into a thin sheet and then deep fried to a crisp. It retains its strong saltiness which brings out the flavour of the succulent meat. We paired the seafood with a light refreshing and fruity Pinot Grigio from Friuli in northern Italy. Whilst the restaurant does not have an official sommelier, all staff receive extensive training in wine tasting and pairing. As a result they are equipped with an in-depth knowledge of the wine list to make recommendations. 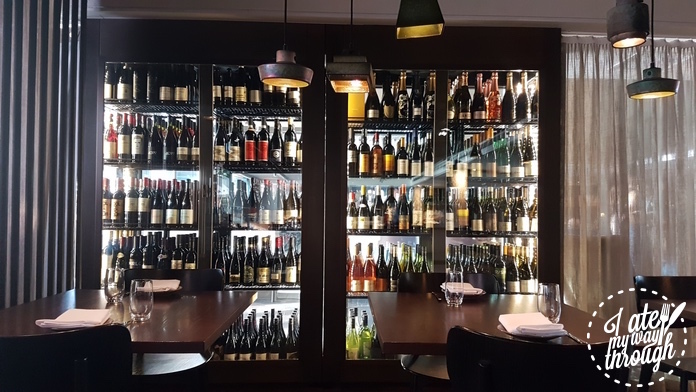 The Gantry prides itself on its collection of sought after natural wines. 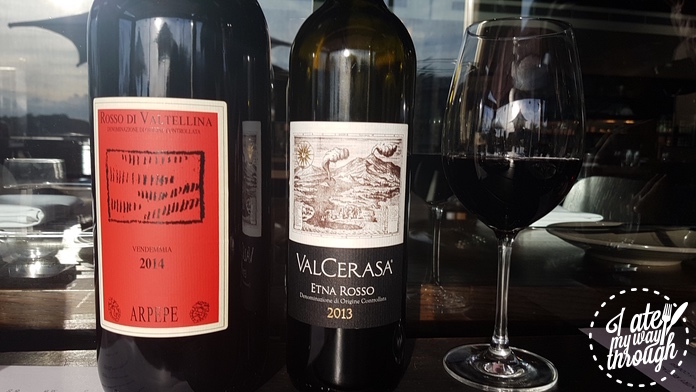 2013 Valcerasa Etna Rosso is a complex medium-body, medium-tannin organic wine from Sicily Italy with hints of minerals and sweetness; an ideal pair with the Wagyu steak. All good things must come to an end but the finale to our meal – frozen chocolate cake – was a fitting conclusion. Brownie and caramel are enclosed inside a thin chocolate shell, dusted with chocolate crumbs and decorated with marshmallow and cherry. Accompanying the cake is sorbet made from coconut and burnt caramel for those with serious sweet tooth. Sydney is blessed with iconic landmarks and world-class harbour views. 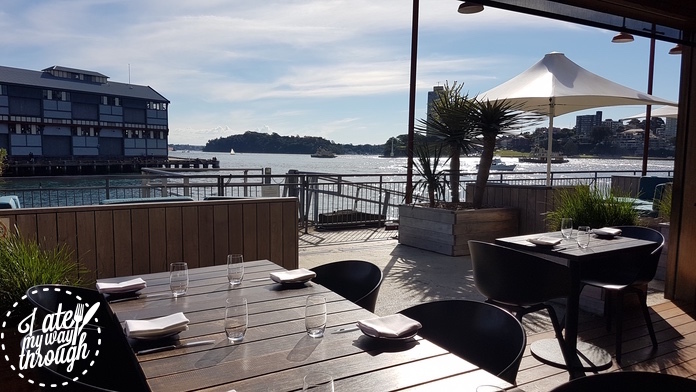 What a better place than The Gantry to embrace the extraordinary beauty Sydney harbour offers with fine dining, natural wines and impeccable service? As the night fell we reluctantly took our leave, but on the way out we were already planning our next visit.